Commentary: Will 2018 Be A Democratic Year For Ohio? 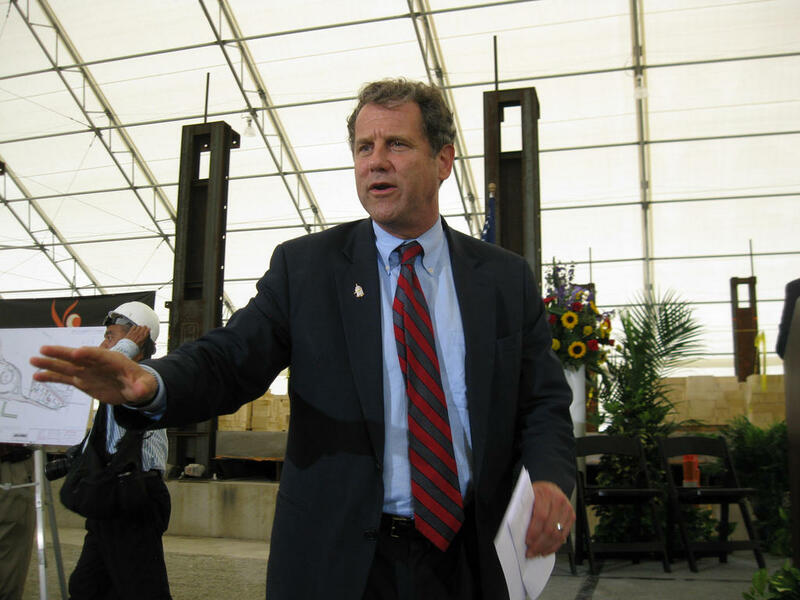 Senator Sherrod Brown (D-OH) attends the opening of a new facility for SunCoke Energy in Middleton, OH, in August 2010. Does the Ohio Republican Party have reason to be worried about November's statewide election? Yes. Yes, they do. They can read the tea leaves and they are no fools. The GOP hasn’t declared DEFCON 2 (high readiness), or even DEFCON 3 (readiness increased above normal), but you can rest assured that what has been happening on the Democratic side has most definitely gotten the attention of the Ohio GOP, and has them more than a little concerned. And what exactly is it that could be keeping Ohio GOP leaders awake at night? The public polls are not very encouraging for Republican gubernatorial candidate Mike DeWine and even worse for the Ohio GOP's senate candidate, Jim Renacci. A week ago, Quinnipiac University's polling institute released a poll showing the governor race a statistical dead heat – 42 percent for Democrat Rich Cordray and 40 percent for DeWine. In the Senate race, the same poll had Democrat incumbent Sherrod Brown up 17 percentage points over Renacci. Sabato's Crystal Ball, an online politics newsletter published each week by the University of Virginia's Institute for Politics, does ratings on congressional and gubernatorial races that are very closely watched by the political pros. Last week, they moved the Brown-Renacci contest from Leans Democratic to Likely Democratic. You can bet Senate Majority Leader Mitch McConnell made note of that one. Perhaps even more significant was that DeWine-Cordray was moved from Leans Republican to Toss-up. And in the down-ticket races – secretary of state, auditor, attorney general, treasurer – the Democratic candidates are, for the most part, keeping pace or ahead of their Republican opponents in fundraising. All of them are open seats this year. Kyle Kondik, a native Ohioan who is managing editor of Sabato's Crystal Ball, told WVXU he bases his candidate rating on polling and on the political environment at the time – a factor that can change over and over during an election cycle. Kondik said that in a midterm election combined with a wide-open governorship, you would expect an Ohio gubernatorial race to be winnable by each side. "DeWine seemed to have an advantage that is now not so clear,'' Kondik said. "I was measuring him at this point in the race not only against Cordray but also against 50 percent in the polls. Now the race seems to be something of a tie and DeWine is not so close to 50 percent as he was, it appears." DeWine is not an incumbent governor of course, and 50 percent is the benchmark where an incumbent wants to be in the polls. But DeWine, with over 40 years in elective office, is about as close to an incumbent as you can get without being one – former U.S. Senator, former U.S. House member, former lieutenant governor, among others. In other words, he should be polling considerably higher than 40 percent. Especially against a former attorney general whose name hasn't been on the ballot since 2010, when DeWine defeated him by about one percentage point. In the meantime, Cordray appears to be pursuing a strategy that could pay off in November. The Democrat candidate, with close ties to Barack Obama and Elizabeth Warren, should – I repeat should – mop the floor with DeWine in the counties that went for Hillary Clinton in 2016 – the three C's – Cleveland (Cuyahoga), Columbus (Franklin) and Cincinnati (Hamilton), along with Lucas County (Toledo), Mahoning (Youngstown), Summit (Akron) and that lonely bastion of liberalism in the foothills of Appalachia, Athens County. If, in fact, he has those urban counties locked up, where does he go? After all, Hillary Clinton won the urban counties two years and got clobbered statewide. Where Cordray goes is straight to the Trump voters – to southern Ohio; southeast Ohio; eastern Ohio; the farmland of western Ohio – to all those little counties which, by themselves, don't amount to much, but, together, are a powerful force in any election. And two years ago, they were Trump voters in a big way, but not necessarily devoted Republicans. Clinton essentially ignored those voters. Rich Cordray will not make that mistake. "Barack Obama knew this in 2012; he knew there were Democratic votes to be found in rural areas,'' said Mack Mariani, assistant professor and chair of the political science department at Xavier University. Last Friday, Cordray made a campaign swing through Trump country – Trumbull County (51 percent for Trump), Belmont County (68 percent for Trump) and Licking County (62 percent Trump). He has been working those Trump counties hard and will continue to do so. So, too, will DeWine, because those are the people who once again could decide the election in Ohio. It's a pretty smart strategy for Cordray, said David Niven, assistant professor of American Politics at the University of Cincinnati. Cordray, from his years in Washington as head of the Consumer Financial Protection Bureau, has a pretty good populist message to sell to a lot of those Trump voters in Ohio's small counties. "He can go to them and say, 'I'm the guy in Washington who recovered $12 billion from the Wall Street banks, the payday lenders and all the unscrupulous types in the financial industry. I got your money back,''' Niven said. "Not a bad argument to make to people who feel like they've been ripped off by the system." There are no guarantees, Niven said, but this should be a good Democratic year. "You're going to have a fired-up Democratic base,'' Niven said. "And you're going to have Donald Trump there saying and tweeting out things every day that are just going to fire them up more." Niven said he believes the poll numbers in both the DeWine-Cordray and the Brown-Renacci races are pretty accurate – the governor's race appears to be close all the way through, while the Senate race looks like a runaway for Brown. 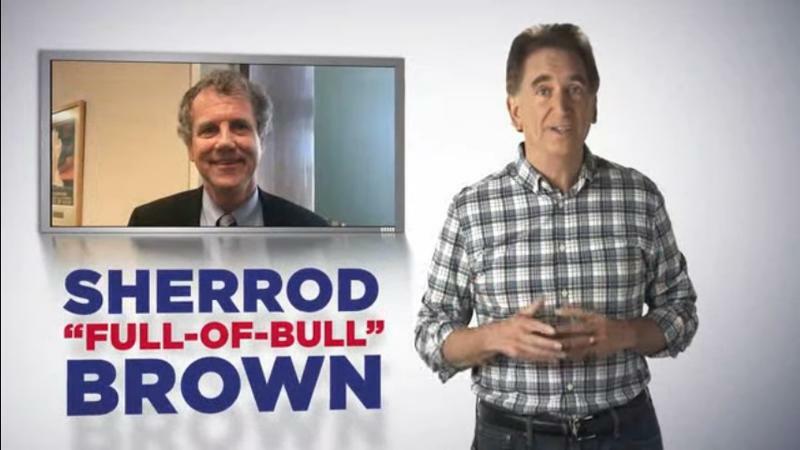 "People know Sherrod Brown and there are a lot of voters who know that he is pretty close to Trump's position on trade issues and tariffs,'' Niven said. "That tells me Brown's in a position to pull in a lot of Trump voters. Renacci is just Mitt Romney with not as good a haircut. "Democrats are relying on Sherrod Brown as their base,'' he added. Cordray doesn’t have to talk non-stop about the $12 million he recovered for regular folks from bad financial institutions, Niven said. "He can go out and tell real people stories,'' Niven said. "Stories like a person who borrowed $400 from a payday lender and woke up one morning to find out that he owed them thousands of dollars. People can relate to those personal stories." And, in all things, Cordray needs to follow Brown's lead, Niven said. "Corday's job,'' Niven said, "is just not to do something to screw it up." Read more "Politically Speaking" here. 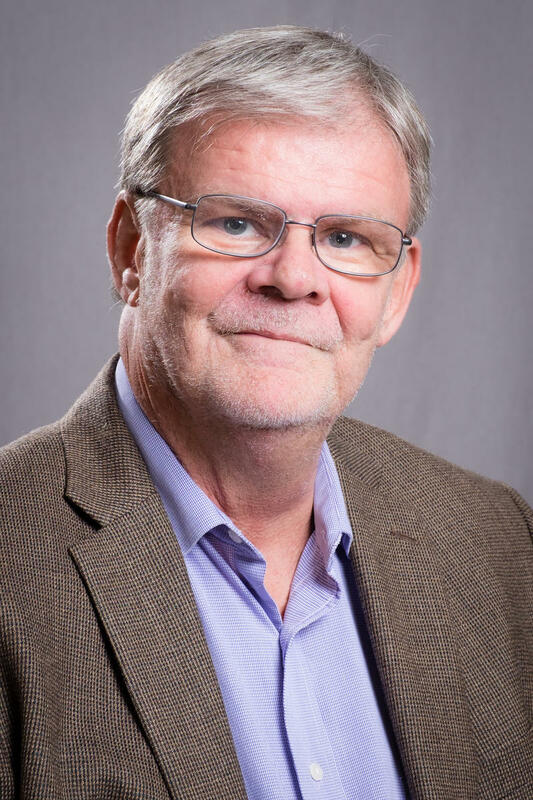 WVXU politics reporter Howard Wilkinson talked with News Director Maryanne Zeleznik Monday morning about how polling and some fundraising numbers have Ohio Democrats feeling good about their chances of winning some state offices that have been under Republican control for many years. There are no guarantees, but the Democrats are cautiously optimistic. Commentary: You Know Aftab, Chabot And Wenstrup, But Do You Know Jill Schiller? 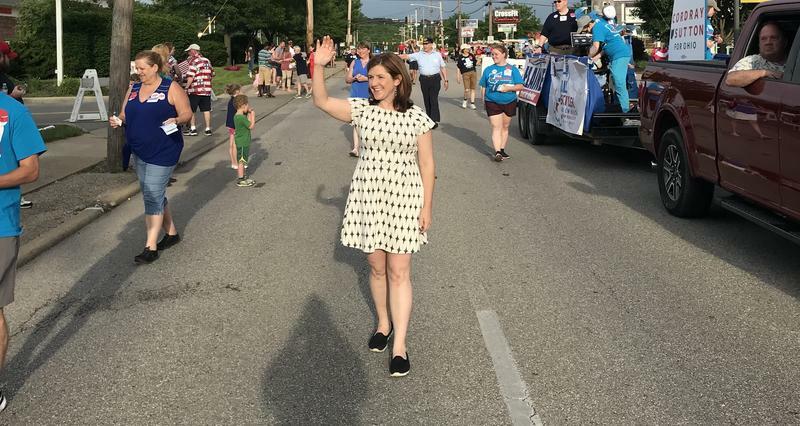 Democrat Jill Schiller is out campaigning hard in Ohio's Second Congressional District, harder than anyone else has since incumbent Republican Brad Wenstrup first won the seat in 2012. The Republican candidate for US Senate is firing back at an ad from the Democratic incumbent with an ad of his own. This campaign was expected to be expensive, and now it’s certain to be nasty as well. 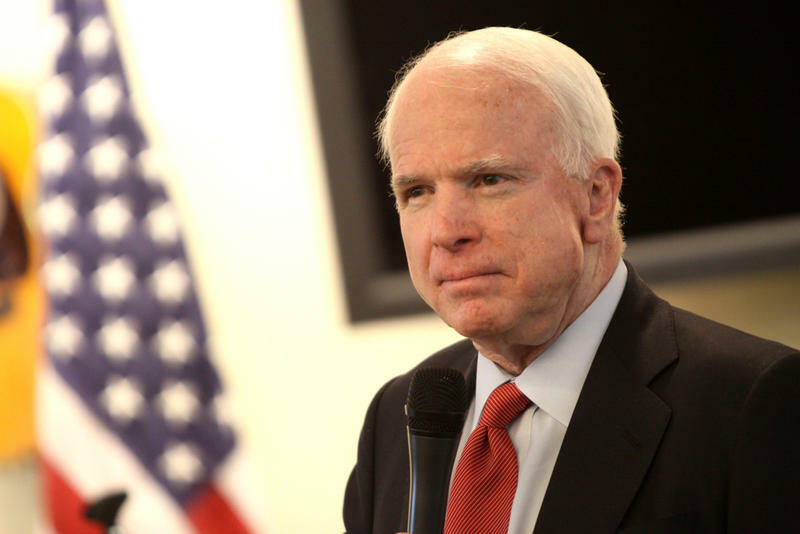 Here's another story that ought to convince you that John McCain is not your typical politician. Many general election contests start out with TV ads that make you feel warm and fuzzy. Bluebirds chirping in the trees. The candidate, rolling around the front yard, playing with the family dog, the grandkids or both. 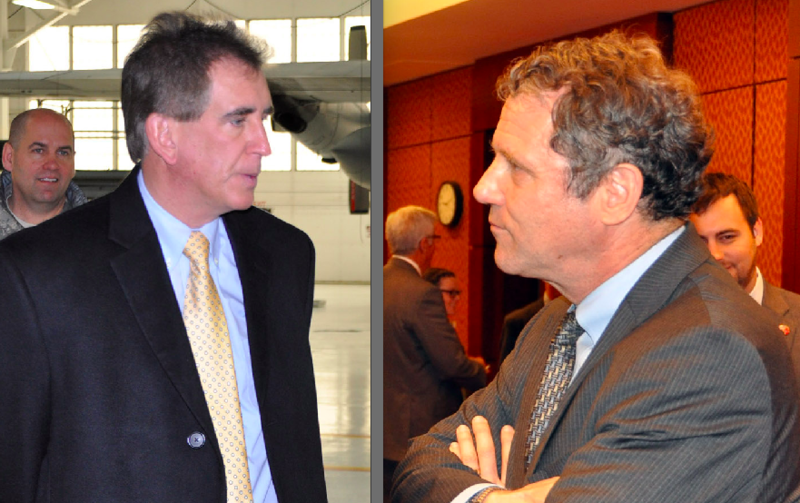 But not this Ohio Senate race between Democratic incumbent Sherrod Brown and Republican challenger Jim Renacci.